This past weekend I joined a game jam for Ludum Dare 27! 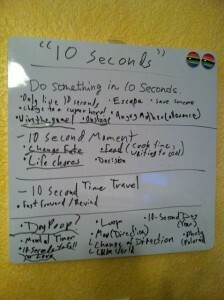 The theme was “10 Seconds”. 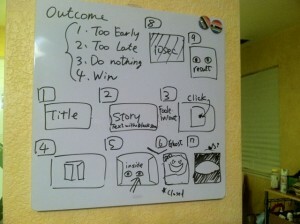 We spent all Friday trying to figure out what kind of game we wanted to create. 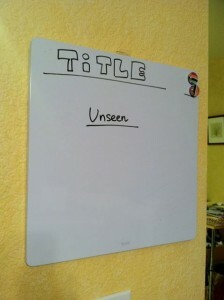 We came up with nearly 20 ideas for the theme, then narrowed them down. In the end, we finally decided to go with one idea. We made a task list for each person for the day. 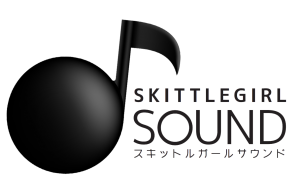 On Saturday, I worked on the theme music, atmosphere music and sound effects. 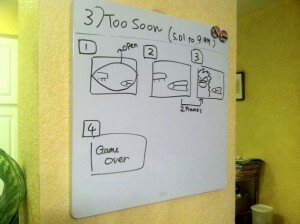 Also we discussed the overall gameplay and the kinds of endings we’d create. On Sunday, I polished the sound effects. Since it was a horror game, I made my studio dark and listened to the sound effects to see if they were scary enough! (It was a very lonely task….). I also translated the game text to Japanese. 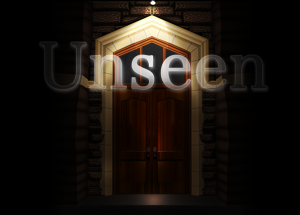 In the end, we decided to call the game “Unseen”. On Monday, finally we wrapped it up and submitted the game on the Ludun Dare website. We were really busy and it was such a nice challenge. I enjoyed working with everyone.